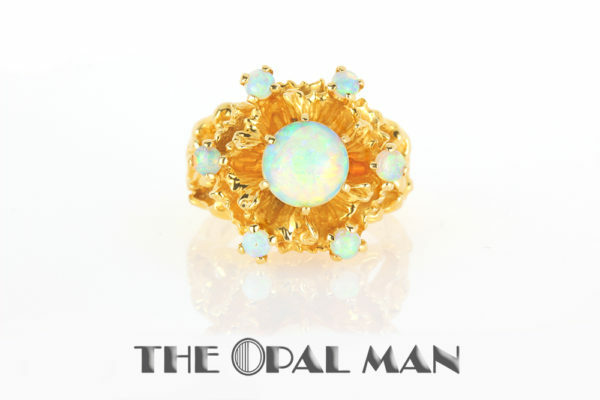 Vintage flowery 14k yellow gold ring with Australian crystal opal. 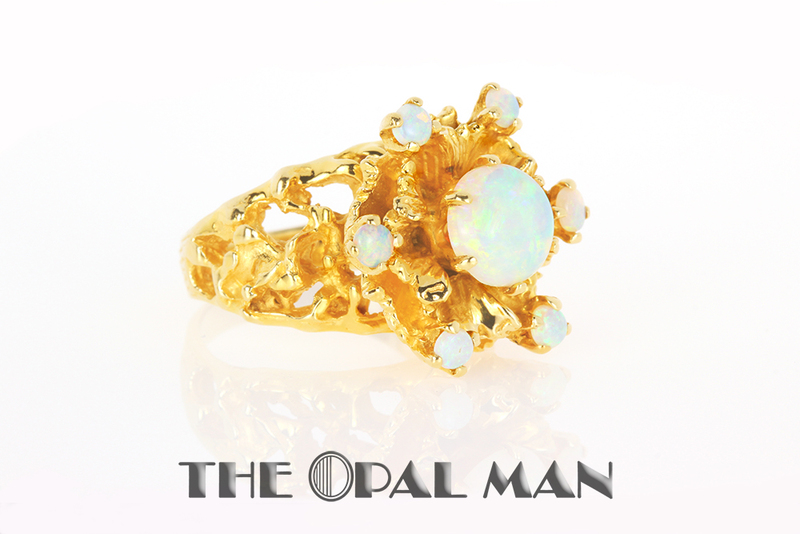 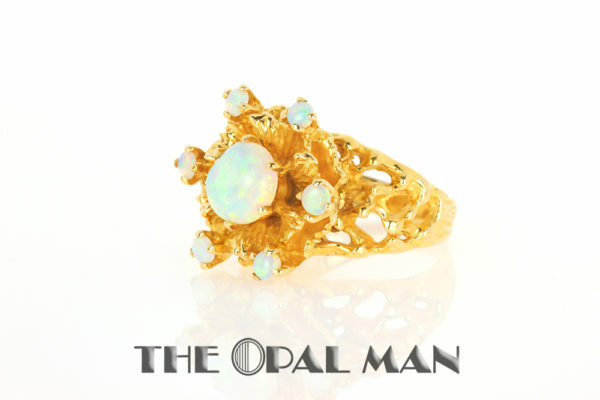 This vintage ring retains six small crystal opals around the outer edge and on large opal in the center. 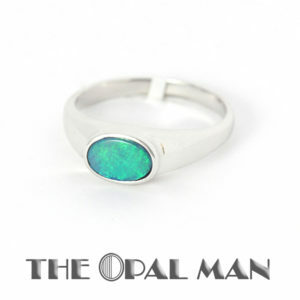 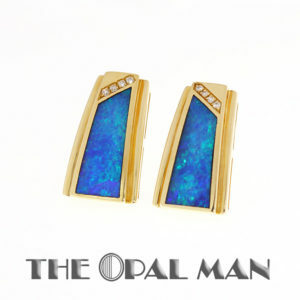 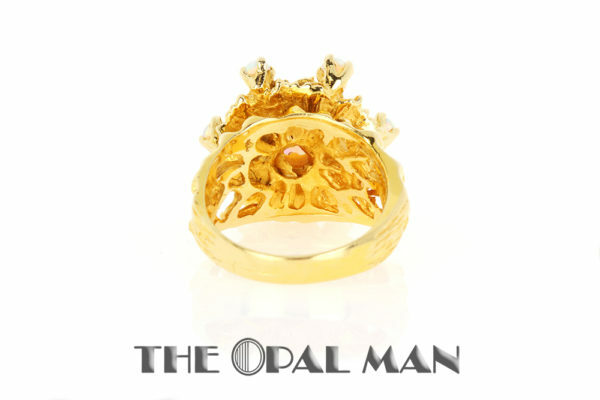 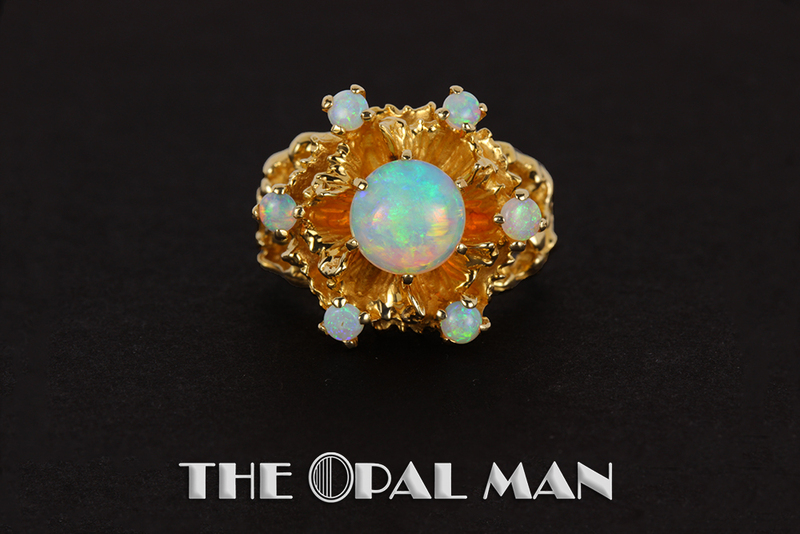 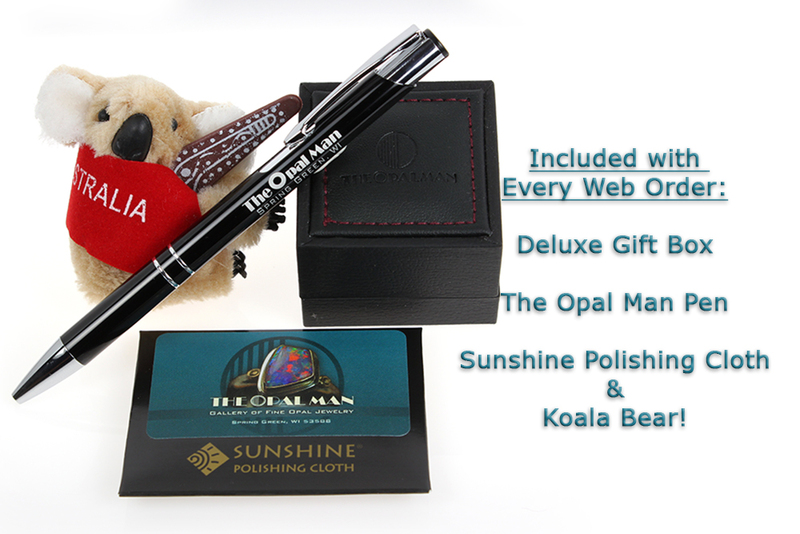 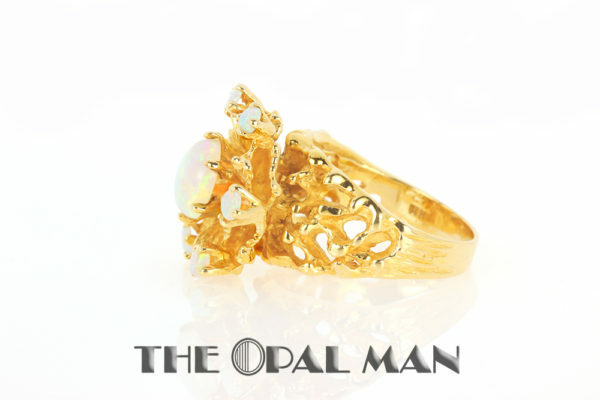 The opals have lovely green/blue flash with hints of red that contrast nicely with the gold setting. When the ring was cast, the goldsmith only polished the outer edges of the piece, adding more depth and detail to the ring. 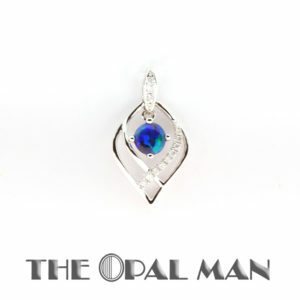 Size: 7.25 Please call if you have any questions about resizing.